At 5 feet and 6 inches, Quezon cut a trim figure, always dapperly dressed and elegantly poised. He was rather small by today’s standards, but the way he carried himself, held up his chin and angled his face made him look imposing. As those early photos were shown one after another at the start of the lecture, the audience of over 400 oohed and aahed. He looked like a movie star. Ocampo said he wanted to present Quezon the man, beyond the textbooks, beyond the posture and bravura. He did this with characteristic wit in his running commentary, aided by photos of personalities and landmarks, a film clip of the presidential inaugural, voice recording, textual illustrations from books and documents, manuscripts of letters, sketches and drawings, postage stamps and currency bills, maps, trivia and ephemera. His parents were grade-school teachers—father Lucio from Paco, Manila, and mother Ma. Dolores from Baler. Both were Spanish mestizos, which explains Manuel’s European good looks. He quit his law studies at University of Santo Tomas to join the struggle for independence against the Americans, became Gen. Emilio Aguinaldo’s ayuda de campo, and rose to the rank of major. After Aguinaldo’s surrender on April 19, 1901, he returned to law school and passed the bar at fourth place. After working as a clerk and surveyor, he entered politics and became councilor, then governor of Tayabas. He was elected to the first Philippine Assembly (now House of Representatives) and lobbied for the passage of the Philippine Autonomy Act (Jones Law). He was elected to the Philippine Senate and became its longest-serving president (19 years). He secured the passage of the Tydings-McDuffie Independence Law. He married his first cousin Aurora Aragon, whom he addressed in his letters as “sweetheart of mine.” The two cut an elegant romantic pair. They had a son and three daughters. In 1935, Quezon ran against Aguinaldo and Gregorio Aglipay at the country’s first national presidential election and won 68 percent of the votes. After a six-year term, he ran for a second term and won against Juan Sumulong, at the outbreak of the war. He served in the government-in-exile in the United States for three years, until his death from tuberculosis at age 65 on Aug. 1, 1944, in Saranac Lake, New York. Quezon is credited for the Filipinization of the government, from the Supreme Court to his Cabinet. This reorganization was achieved through the establishment of the Commonwealth. 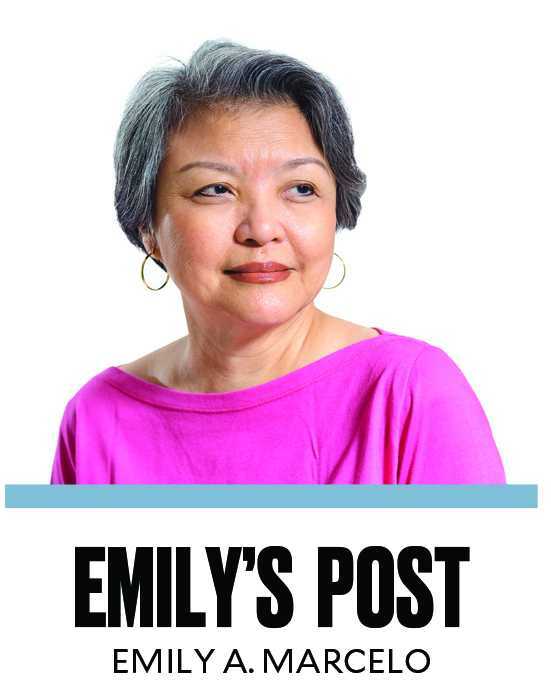 Of his numerous legacies, generations of Filipinos will forever be grateful for two: women’s suffrage in 1937; and the adoption of a national language in December that year. Also, unknown to most Filipinos but earning international gratitude was Quezon’s humanitarian act in facilitating the entry to the country of Jewish refugees fleeing Nazi Germany, thereby saving 1,200 lives (just about as many as on Schindler’s list). In Israel can be found a seven-meter high sculpture called “Open Doors,” a Holocaust memorial to honor and thank Quezon and the Filipinos. Ocampo tried to balance the scale by presenting the considerable contributions to our country of such Americans as governor-generals William Howard Taft, Francis Burton Harrison and Leonard Wood, who were hated during the colonial era. That widened one’s perspective of history. He also delved into esoteric topics such as the Cabinet Crisis of 1923, government’s anomalous transactions with the Manila Railroad Co. or the Philippine National Bank—and yet made them all sound up-to-date and fun, to the audience’s gratitude and delight. Among those in the audience were Quezon’s 94-year-old daughter Ma. Zeneida “Nini” Avanceña and grandson Ricky Avanceña; President Elpidio Quirino’s granddaughter Ruby Gonzales-Meyer; and National Artist BenCab and partner Annie Sarthou. Ocampo jested that the attendees were a few hundreds less than in his Marcos lecture a month ago, as there was the phenomenal AlDub show at the Philippine Arena. So, next time, he’d think twice before holding a lecture simultaneously with a big showbiz event.